In hokku, as I have said many times, we do not use metaphor (saying one thing is another) or simile (saying one thing is like another). There is a specific reason for that. It is that in hokku, metaphor and simile draw the mind in two different directions, and two separate images compete for the reader’s attention. This is contrary to the very intense, aware focus that hokku as taught here requires. That does not mean, of course, that metaphor and simile are inappropriate for other kinds of writing and other occasions. Sometimes they can be quite effective, and indeed at times may be the best way of expressing something. There is an old and rather odd book written by a woman named Grace Duffie Boylan. It came to be in 1918 and was published in 1919, and it purports to be the after-death communications of her son, killed in action in Europe — in Flanders — in the First World War — that shadow time of immense grief and suffering. It is titled Thy Son Liveth. The poetry of those lines, for me, is the pinnacle of the entire book. Reading the book, whatever one may think of its veracity, is very poignant for those who, like me, can remember the days when a very few aged, grey soldiers from that terrible First World War still marched in every Fourth of July parade, and when one might encounter on the street a poor old man still “shell-shocked” from that horrendous conflict — and of course each year those selling the little, paper poppies to pin on one’s lapel or dress – the poppies that had become the symbol of that frightful war and its terrible harvest of the lives of youth. You may be interested to know that the concept of Boylan’s book was reworked into an updated story for a movie a few years ago. While some may feel it excessively sentimental, others will find it both moving and inspiring — but in any case it is worth watching just to see Vanessa Redgrave’s performance and to hear that remarkable use of simile from the book. The film — available on DVD now — is called A Rumor of Angels. 1. The “facts” of the verse viewed subjectively. 2. The “facts” of the verse viewed objectively. An important stage in the development of one’s understanding of hokku is the realization that these two categories apply to old hokku just as they do to other kinds of verse. So we have “subjective” hokku and we have “objective” hokku. That is, however, a hokku tainted with subjectivity. Why? Because we know that the cries of the ducks are sounds, and sounds cannot be “faintly white.” There is an exception for the very, very tiny number of people who experience synesthesia, who are able to “see” colors — but we have no evidence that Bashō or any of his readers had that ability. We must say, then, that Bashō has phrased the hokku in this way to make it obviously “poetic,” that is, to add his fantasy to it instead of just letting it be what it is. That, by contrast, is an objective verse, without the added fantasy of the writer. Now some might say, “Well, Bashō did not really see this exact event, so he did use fantasy,” and they would be right. But the distinction we want to make here is between those verses that use obvious additions from the imagination for “poetic” effect in contrast to those verses that are — or in the case of this last verse, that seem — to be entirely without the addition of fantasy from the imagination of the writer. In other words there is nothing “untrue” about the experience of seeing a frog jump into an old pond and hearing the watery “plop!” But there is something untrue in saying that the cries of wild ducks are “faintly white,” or that one hears an “unblown flute.” We know right away that neither of these things is “true” to reality, and that is the distinction we make in hokku between subjective, “”untrue” hokku supplemented from fantasy to make them seem more poetic, and objective, “true” hokku that do not say anything out of keeping with the way things are in reality. Now note this: The truth of hokku does not mean a verse happened exactly the way the writer gives it. But the writer must not put anything in it that could not have been experienced in just the way the hokku presents it. In other words, Bashō may have seen a frog jump into water at some time, and he may have tried to come up with a fitting first line, trying different settings, such as mentioning a kind of flowering shrub. But in any case, he finally decided on “The old pond” as the appropriate setting. And the verse has a “true” effect when read. It is the same with hokku. We write from actual experience, but a particular hokku may combine experiences from more than one occasion, in order to express the character of a season. But what we cannot do in the kind of hokku I teach is to add fantasies from our imagination that make a hokku obviously “untrue.” For example, if I write a spring verse about apple blossoms, and throw in that I hear the whistling of Johnny Appleseed as I view them, then obviously I am adding fantasy, and am being “untrue” in hokku. This matter of adding fantasy from the imagination to a verse, throwing over it what Wordsworth called the “coloring of the imagination,” is very important in understanding the aesthetics behind our kind of hokku — objective hokku — which carefully avoids adding such coloring of the imagination. Why? Because our verse is contemplative hokku. We want to be faithful to Nature and to its character, so we cannot simply add fantasies to events to make them seem more romantic, more “poetic.” In our kind of hokku the poetry is not on the page, it is in the sensory experience of the verse — touching, tasting, smelling, hearing, and seeing. When one has that, one needs nothing more. It is important to distinguish the essentials from the nonessentials in learning hokku. Many people easily get sidetracked, often never finding their way back. There are, of course, ways to improve one’s conscious understanding of hokku. 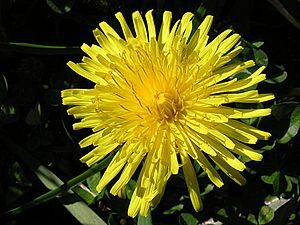 But it is the immediate effect of a verse that is what first caused that attraction — the effect of pure sensing — drops of rain falling on a pool, leaves drooping in heat, the odd, unmistakeable scent of a dandelion flower — these things are really the essence of hokku. Some people of intellectual bent get drawn off into detailed study of old Japanese hokku — of allusions in Japanese or Chinese, of the intricacies of linking verses in the old practice, of the cultural significance of this or that object. But it is all just distraction. That is not what drew us to hokku, and the more we go off into intellection rather than sensing — experiencing — the more we will lose hokku. The other side-route that draws off many people from hokku is the urge to change it — the very mistaken notion that because hokku is “old,” it must be altered to fit the times, to “express the individual.” First they alter this, then they change that, and quickly hokku disappears — vanishes. They have lost it because of their self-will, their urge to manipulate, the same urge that has done so much damage in the world. Very, very few are those who just let hokku be — who accept it as it is in English, without trying to “Japanify” it, without trying to modernize it or intellectualize it or make it a vehicle of “self-” expression. I hope at least some readers have noticed that I place no emphasis at all on esoteric Japanese terms in hokku. I just talk of hokku in plain English. When I am talking about indicating season, I don’t use a foreign term; when I am talking about the “cut” that separates the two parts of a hokku, I don’t use a foreign term. In fact the only term I really retain with any frequency is the word “hokku” itself, and that only because it is not only a distinctive name, but it is the old name for the kind of verse we write, and there seems no good reason to change that. And I use the Chinese terms Yin and Yang frequently — not because I want to sound exotic in any way, but just because we do not have native terms in English that cover all that those two terms cover — so I borrow them into English and make them English words because they are so useful. Readers here will also note (I hope) that to explain hokku, I do not have to keep reaching into the distant Japanese past. There is no need at all for that. All we need is here, now, where we are, in this present moment — not in some foreign past. I can give you all the essentials of writing hokku: How and where to cut a line, how to punctuate and capitalize, all the useful techniques such as internal reflection and harmony of difference, and harmony of similarity, of repeated subject, and all the rest. But it is all quite useless if the reader does not begin to live a life of hokku — a life allowing space for simply experiencing — simply being — without intellection — what we call “thinking” in hokku — and a life without the urge to remold hokku into some other form to fit this or that fad or whim. I deliberately avoid trying to make hokku seem “academic,” which in my view is death to hokku; and I try to avoid making it seem in any way “Japanese,” which it should only be when written by Japanese. When written by an American it should be thoroughly American — or thoroughly Welsh when written by a resident of Wales, or quite Icelandic when written by an Icelander, and so on through the whole list of countries of the world. If ever you find yourself getting distracted from “plain” hokku by intellectualism or the urge to change, just pause and remember what drew you to hokku in the beginning — Nature and the place of humans within Nature, set in the context of the changing seasons, manifesting through sight, sound, touch, smell, and taste. All the rest is simply distraction from that pure essence. Readers will long ago have noticed that I use old hokku — including verses just beyond what is technically the old “hokku” period — quite often. My purpose in doing so is not just to provide a collection of old verse, but rather to show through them how new verses may be written in English — new hokku. Shiki wrote a verse about a shower and rain beating on the heads of carp. There are several ways we can present it in English — and several ways we can write other hokku using the same patterns in English. The alignment is a bit unusual with its short central line, but permitted in English. Either method will work, though the second, “repeated subject” method avoids the repetition of a noun (shower – rain) in the first example, which is often useful. This verse, though late, is nonetheless “internally” in all respects a hokku, and a rather good one. This kind of objectivity is what we favor in hokku — no added thinking, no added commentary, not even a writer anywhere in sight. There is only the unexpected, sudden summer shower, and the rain beating on the heads of the carp risen to the surface of the water. In spite of being a summer verse, it is a very cooling, yin, watery verse. That gives us a somewhat different effect than the first, and shows us how small changes in a verse can alter the effect. We see the tiny fish in the clear, sunlit water, swimming against the current, which nonetheless is so strong that, still facing upstream, they are carried a bit backwards. This is one of those hokku that is just a kind of rejoicing in the experience of seeing. We feel the small strength and persistence of the little fish against the greater strength of the clear water. There is the energy of the fish going in one direction, the energy of the water going in the other. This is a standard hokku, meaning it has a setting, a subject, and an action. First is the “Question” hokku, the whole point of which is to ask a question — or raise a question — that remains unanswered. Why is a fire being lit? Again, the whole point of such a verse is to have us experience — through the elements of the verse — a question that remains unanswered. It is that feeling of not knowing that is the whole point of a “question” hokku. To answer the question would ruin the verse. The second recent topic is that of song lyrics as commonly unrecognized or undervalued poetry. I have pointed out that song lyrics, which for convenience I call poems/songs, are often not even mentioned when the subject of poetry is raised, because they are somehow seen as “not real poetry.” But in contrast to that, I also pointed out how in most cultures, poems that today are read silently or aloud were originally sung. That combines the musicality — the sound and rhythm — of words in a poem with the music of the singing voice, often accompanied by one or more musical instruments. There is a conflict then — something that makes no sense — when we read through hundreds of pages in an anthology of poetry and find that virtually none of the recent verses included are the poems that are song lyrics. This is often simply unrealistic snobbery on the part of the compiler or compilers. and my brother was balin’ hay. “I’ll have another piece of apple pie, you know it don’t seem right. Mama said to me “Child, what’s happened to your appetite? I’ve been cookin’ all morning and you haven’t touched a single bite. A year has come ‘n’ gone since we heard the news ’bout Billy Joe. And now mama doesn’t seem to wanna do much of anything. Here is some more on writing five-word Chinese-style quatrains. For this exercise I have chosen a verse by Li Pin, called “Crossing the Han River.” I have adjusted the five words of each line to fit English better, but the essential concept is the same. Winters passed, and spring followed spring. And dare not ask the man who comes my way. As you can see, the “essential words” of the basic framework are just that — a framework we use in composing the final, “fully-English” verse. We need not fear changing things somewhat, because that is exactly what translators of Chinese verse have traditionally done when putting them into English. Why then, bother with the framework? Because it gives us the basic ideas of the poem, which we can then work over to put them into more flowing and smooth English. It really does work well, though at first it may seem an odd way to compose. And now the meaning of the verse, which is essentially the same in the Chinese original and the English verse: A man has gone beyond the mountains into far-off lands to work or serve. He spends years there, as the seasons come and go. While there no news reaches him, no letters. Now, at last returning home, he is afraid to ask about his family and friends — afraid of what he might hear after so much time has passed. And that is how we write “Chinese-style” five-word verses. As I mentioned earlier, it is a very useful way to write Nature-based verses, because it provides a structure, a framework on which to “hang” the poem. Give it a try. Be patient, and once you get it, you will find it not only easy but pleasant and very useful.